"This font could not be embedded due to licensing...The PDF will not be created if the glyphs cannot be represented." Yet the PDF still get created and nothing looks different. Is this because I have the fonts installed on my machine? I don't wanna send this over to the client and they see it differently. It is because somewhere there is a font which is not licensed to embed in PDFs, just as the warning states. The PDF will look fine if the font is installed on the system. Therefore it will look okay on your system. However, any system which does not contain the font may not render that particular font properly. The only way to get around the embedding restriction is to purchase a license which does allow embedding, or to use a different font (which also will allow embedding). In some cases you can convert type to outlines and remain within the non-embed license. In other cases, a license which restricts embedding the font may also restrict converting the font to outlines. In which case, you're out of luck. In addition to Scott's answer, you can circumvent this issue by converting all type in the offending font into outlines: Type > Create Outlines. This will markedly increase your .pdf file size if you're using the font a lot (for say, body text). This way, you don't have to embed any of the info in the font file--all your letters are shapes after all. Be warned that you can't edit the text anymore after this conversion. I've been struggling with this issue for some time, but at last I managed to find a solution and it works. When publishing the file from e.g. 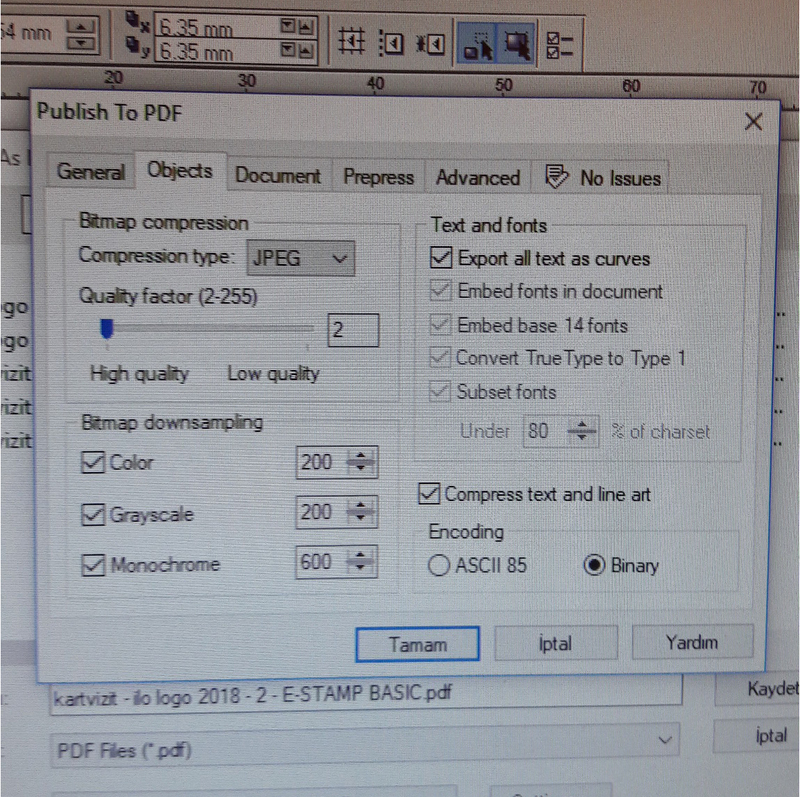 Corel Draw to PDF select PDF Style settings. Then under the Objects Tab check "Export all text as curves". Done. If possible, I would always "outline" the text. By doing that, you know your design will be printed correctly. If you don't, you may get a surprise back. Nice design messed up by a wrong type face. Horrible. Not the answer you're looking for? Browse other questions tagged adobe-indesign fonts pdf embedded or ask your own question.